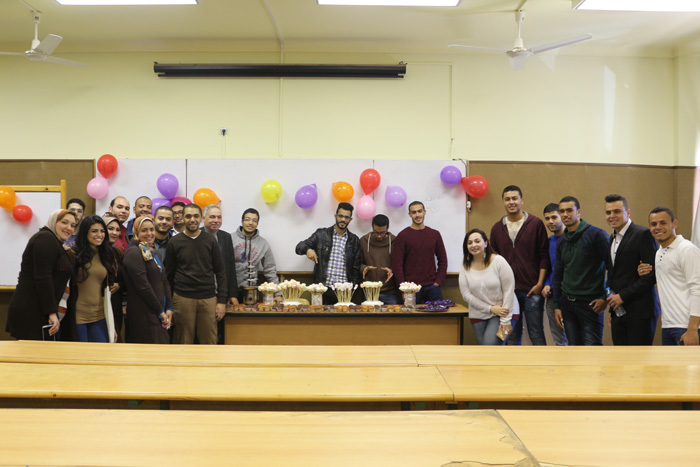 The department of petrochemical engineering, in cooperation with the Department of Student Activities at PUA, held a welcoming day to welcome the newcomers. This took place at the beginning of the second semester, and the day was called “Chocolate day”. Engineer / Abdel Fattah Rajab – Vice President of the Board of Trustees and Dr. Ramadan Abul-Ela- Acting Vice President for Community Service and environment development and Head of petrochemical engineering department, staff members, assistants and a number of students from this department and other departments attended the welcoming day. 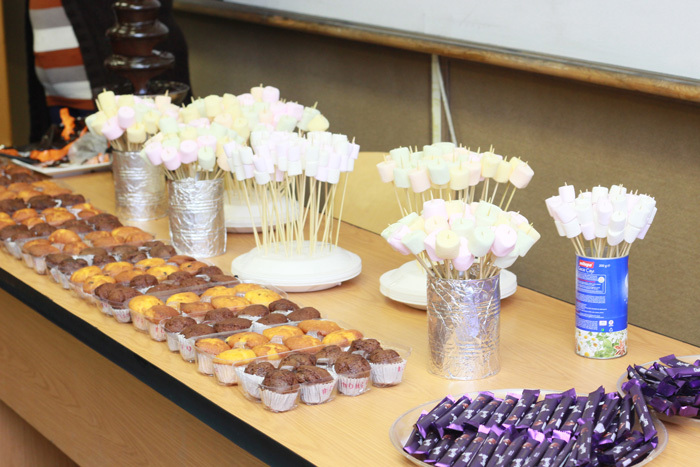 An open buffet was set up, presenting various types of sweets made of chocolate. An atmosphere of joy and intimacy prevailed among all attendants.